We are excited to announce that our first domes are scheduled to be built in Australia in May this year. If you would like more information and are considering building a dome with us once our Australian launch prototypes are complete, please get in touch and register your interest. 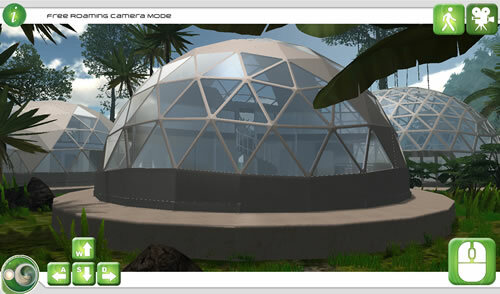 Sustainable Domes are designed to withstand the tough tests of natural disasters such as fire, floods and earthquakes. They also resiiient to rust, bugs and other unwelcomed visitors that frustrate typical homeowners. 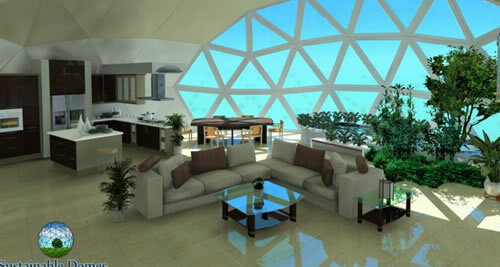 Sustainable Domes aim to protect the families that live in them as well as preserve the planet that is home to us all. 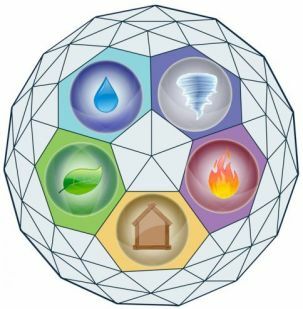 This is evidenced by the materials used in our Geodesic Domes which in addition to being non poisonous, require less processing and long term maintenance compared to conventional building materials. Moreover, these materials provide good thermal insulation and excellent aeration. Unlike typical box structures which distribute the stress loads to right angles, geodesic domes distribute the stress loads across the entire structure. This gives them incredible structural strength. In addition to that, geodesic domes are the only artificial structures whose strength is directly correlated to their sizes. Sustainable domes are made of reliable materials like basalt and magnesium oxide that give them structural integrity similar to structures such as precast concrete and monolithic domes. Sustainable Domes provide an enclosed space free of structural supports such as cross beams. This eliminates the need for vacant, uninhabitable areas such as attics and crawl spaces. Moreover, structures are designed to be comfortably habitable as residential dwellings due to their natural acoustics and high thermal mass. They are also well suited for many other infrastructure applications. 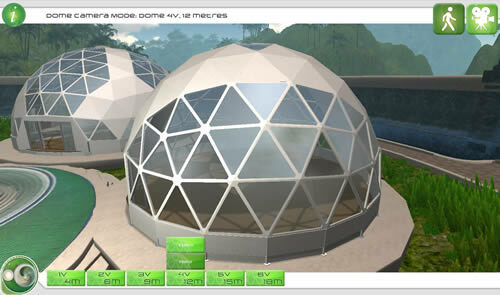 Sustainable Domes’ structures are made of structures whose shapes and weights optimize them for rapid assembly. This increases the ease of assembly. We are talking about a 50% reduction in construction time. This reduces labor costs, limits the need for additional subcontracting requirements and reduces the contingencies that arise during construction. Ideally, Sustainable Domes are permanent structures. However, due to their SIP frame and Modular design, they can be rapidly assembled and disassembled. Sustainable Domes can therefore be used for both permanent use and temporary use such as in disaster relief camps, schools, on-site hospitals, warehouses, agricultural shows and houses. The components of Sustainable Domes are made in specialized factories, utilizing high performance eco friendly materials and a proprietary panelized design which increases their affordability compared to site-built structures. In addition to that, they require little long-term maintenance and promise high energy efficiency thereby reducing long-term costs. 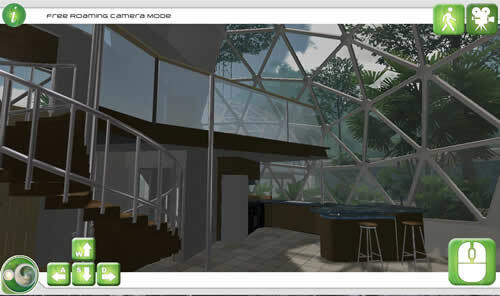 Sustainable Domes create no virtual waste. This is due to the delicate nature of their manufacture. They are manufactured in a controlled factory environment that sees raw materials converted into finished products. Our company incorporates sustainable manufacturing processes which utilize materials with low embodied energy designed to reduce waste. Waste, if any, is recycled. Sustainable Domes provide high energy efficiency due to the extremely tight building envelope, the excellent insulating properties of magnesium oxide and polyurethane and the moderate thermal mass provided by our proprietary SIP design. 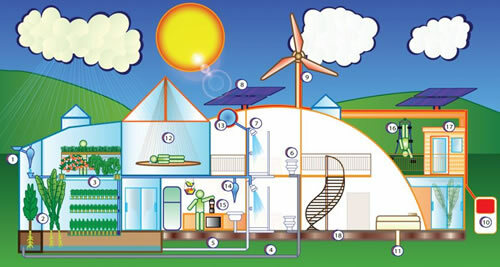 The energy use in Sustainable Domes is half the energy use in conventional homes. Sustainable Domes are designed to weather significant wind loads from storms. This is because first of all, they are devoid of any roof and truss structure. Secondly, they are aerodynamic. Finally, they are made of high performance eco friendly materials. Sustainable Domes are designed to last centuries, not decades. Our structures have no wood components making them immune to rot, termites and degradation from moisture. One of the main building materials we use, magnesium oxide, can be found in such structures as The Great Wall of China. Our domes can withstand turbulent conditions that are synonymous with regions in the coast and those with high instances of natural disasters. Our dwellings are designed for high energy efficiency and resistance to all kinds of disasters. They do not use wood from primary forests, they have building materials with low potential energy, they incorporate recycled and renewable materials wherever possible, they are toxic free and they integrate with sustainable technologies. Sustainable Domes and Modular and Manufactured Homes (Traditional Homes) are both characterized by bringing together qualified personnel and raw materials in a controlled environment to create a finished product. However, for Sustainable Domes as opposed to Traditional Homes, construction within a factory eliminates the possibility of damage from weather and removes many of the problems of the site-built sector such as unpredictable weather, thievery, bodily injury and damage to materials. Moreover, high internal regulation and inspection during the manufacturing increases the assurance of quality.. Finally, factory employees are trained, scheduled and managed by an employer, as opposed to the conventional system of contracted labor in the site-built sector. 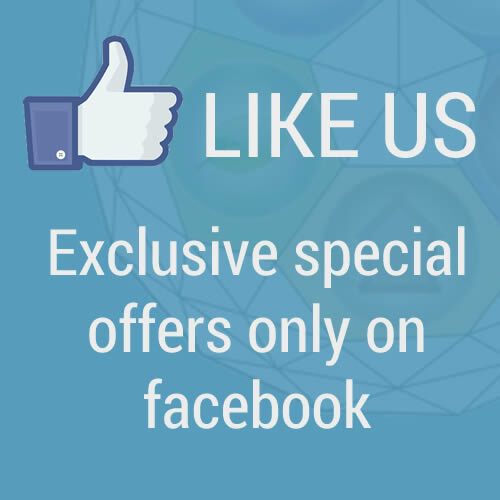 Our products differ from Modular and Manufactured homes for the following reasons: they are devoid of wood, they have unique designs, the dome product isn’t shipped to site as a prefab, but as a series of SIPs and finally, they will need further interior work once delivered. The benefits and performance of Sustainable Domes are similar to those of Concrete Structures such as Precast Concrete Walls and Monolithic Domes. Our wall systems use Magnesium Oxide (a concrete alternative) on the exterior and interior of the envelope of the building which, like concrete, reduces the amount of air infiltration into the building. This reduces the amount of airborne moisture entering the building. This barrier provides for better air quality, less chance for molds and more efficient use of HVAC systems. Our structures, like concrete, do not rust, rot or burn. Lastly, the structures are hold firm in the instances of natural disaster. In conclusion, our products are designed to obtain the same benefits as Modular Housing by eliminating the headaches and potential pitfalls of the site building process. 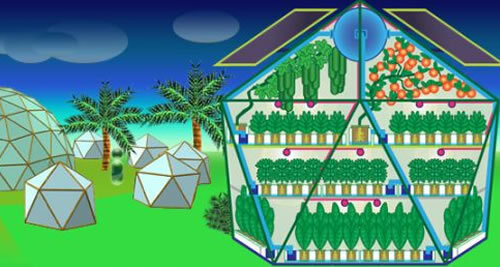 Sustainable Domes are similar to manufactured dwellings in terms of cost but provide significantly improved energy efficiency, building life cycle and resistance to natural disasters. We provide dwellings that combine the benefits of modular housing, the performance of concrete structures and the affordability of manufactured housing.